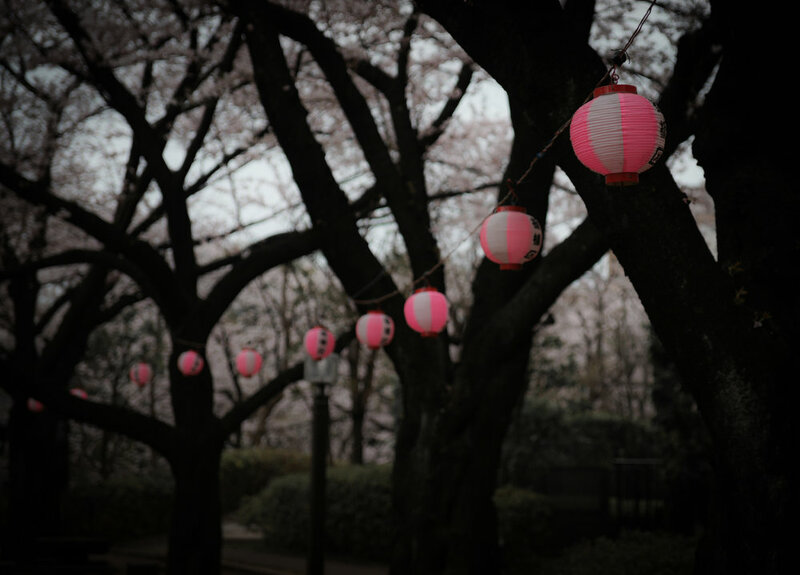 Hanami, literally means “flower viewing” and it is a tradition in Japan to get together and celebrate under the cherry blossoms (usually like a picnic). 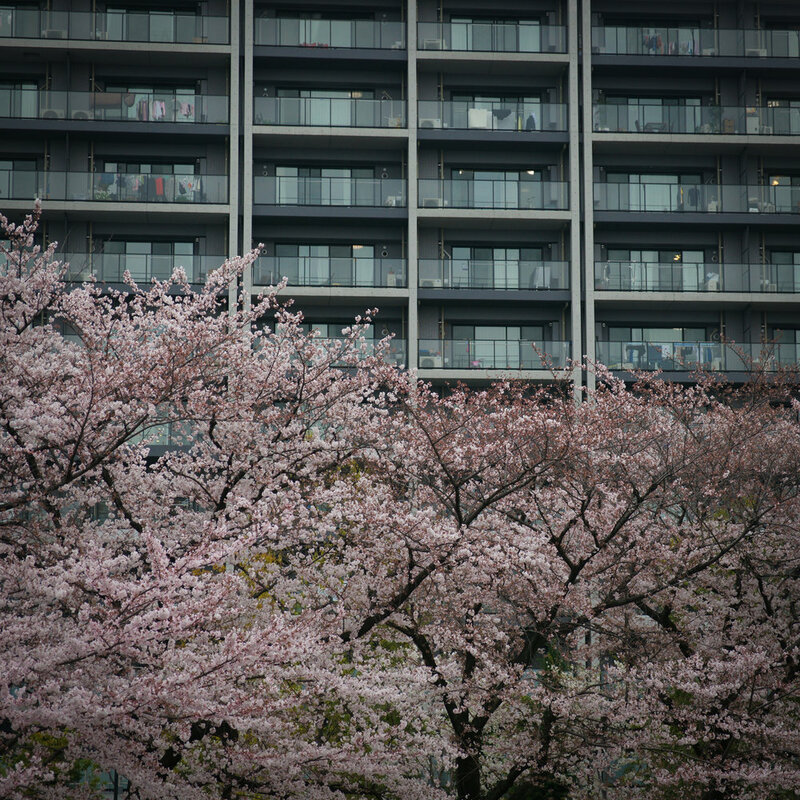 During sakura season, people fill the parks by the thousands to enjoy their bentos under the trees and take no less than one million photos of the blossoms (I know I did). 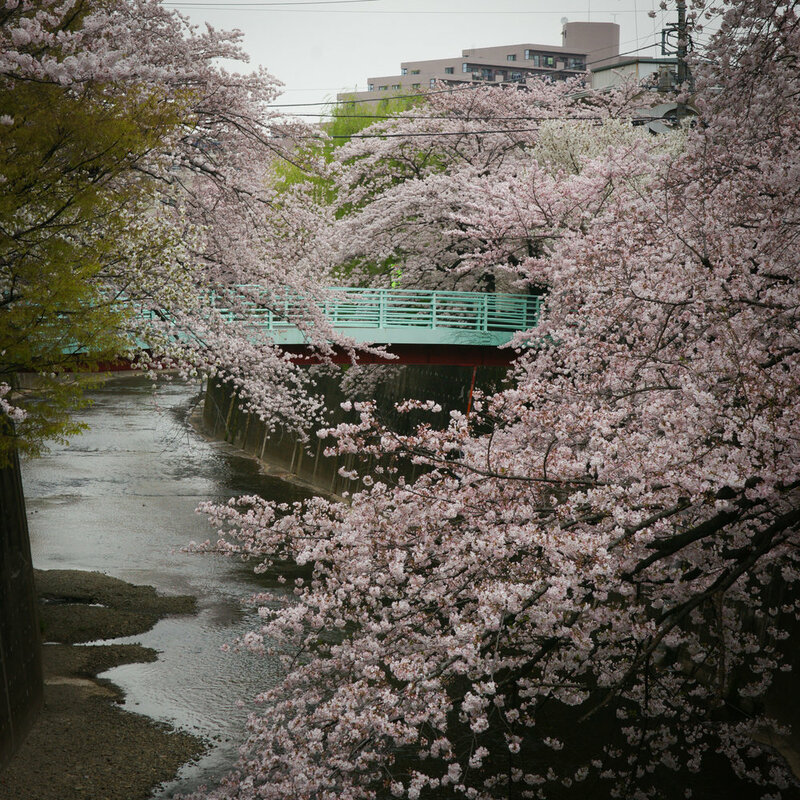 Some of the sakura ‘hot spots’ like the Imperial Palace moat, Shinjuku park, and the Meguro River are crowded with amateur photo shoots involving peoples’ babies, groups of high school girls, tiny dogs in sweaters, and of course selfies! 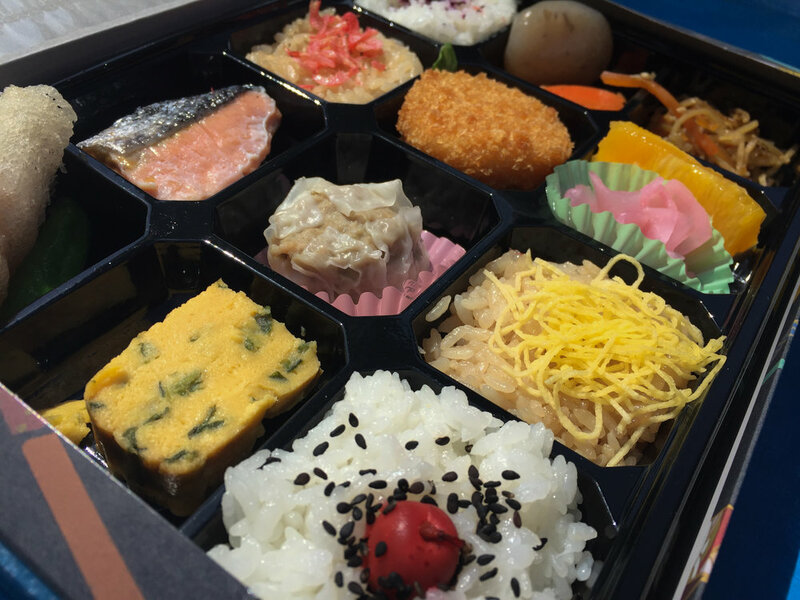 There are tons of seasonal foods and drinks to partake in like sakura flavored alcohols, ice creams, mochi, teas, candies, and kit-kats, and like any celebration there are street food vendors serving up the classics like takoyaki, yakitori, taiyaki, and oden. 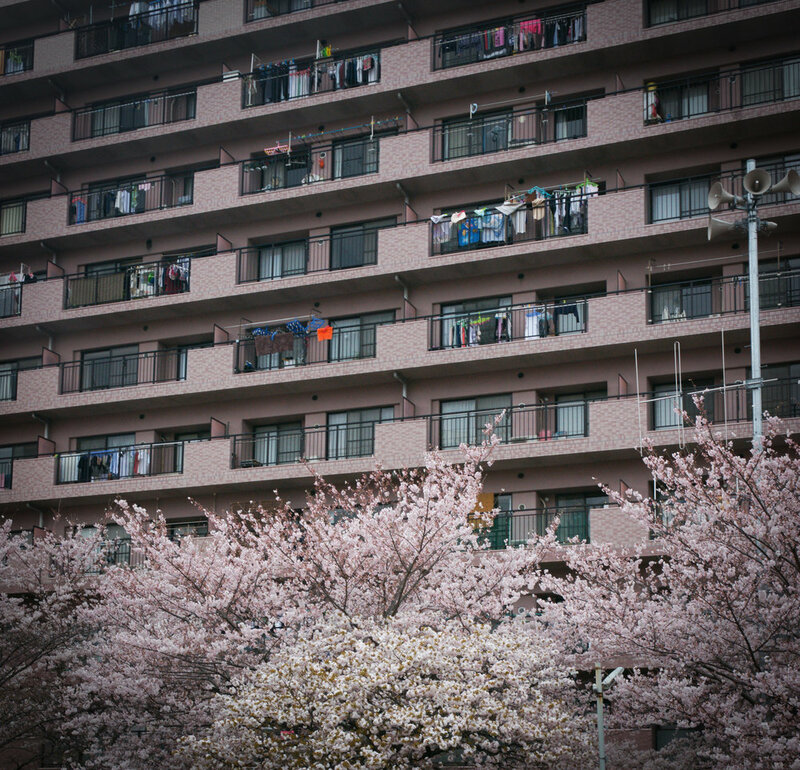 Cherry blossom season, in my opinion, is overwhelming. Don’t get me wrong it’s beautiful….but people are obsessed. 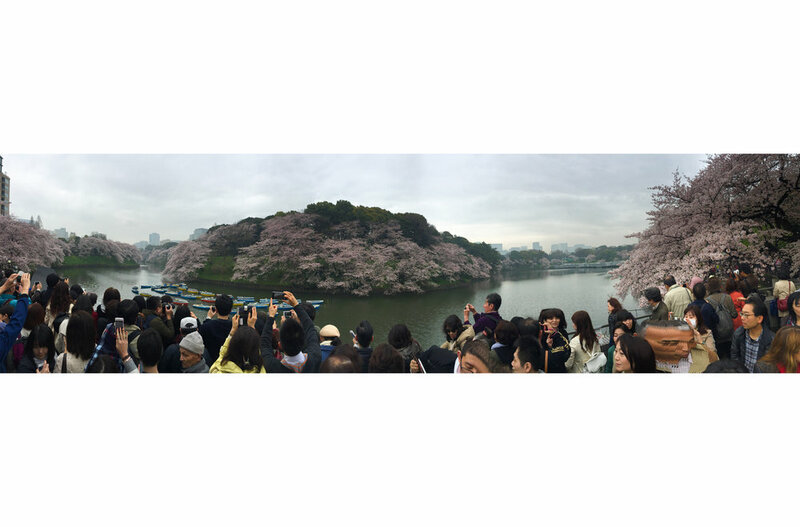 The crowds are insane, and you don’t just ‘hanami’ once during the season…you do it sometimes 2-3 times a day. 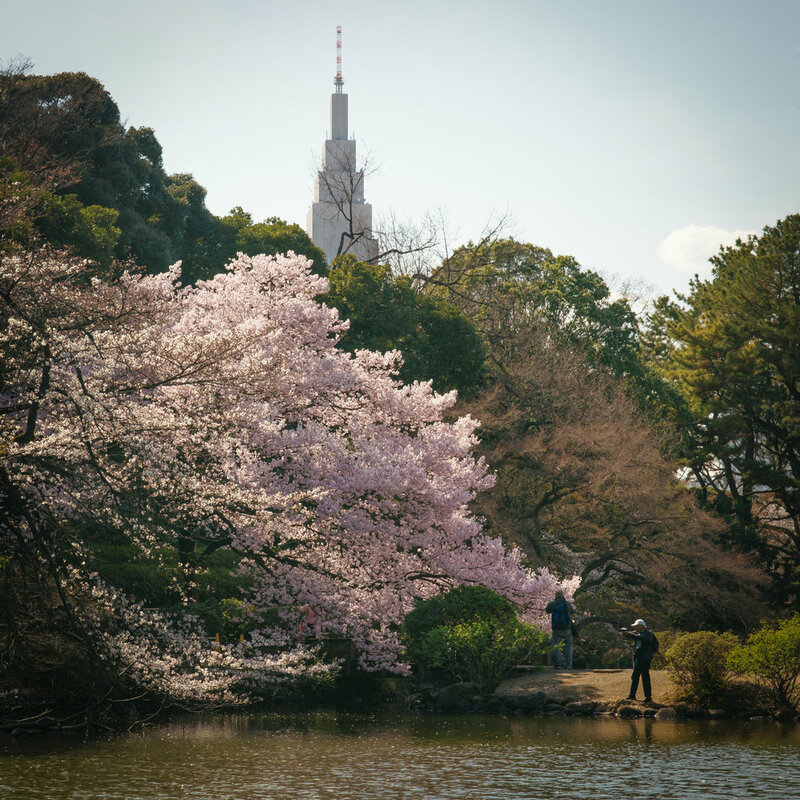 How about a morning walk along the moat, followed by a picnic lunch at the nearby shrine, and end your Saturday with meat sticks and beers along the river until 2 am….no joke. This lasts for weeks! 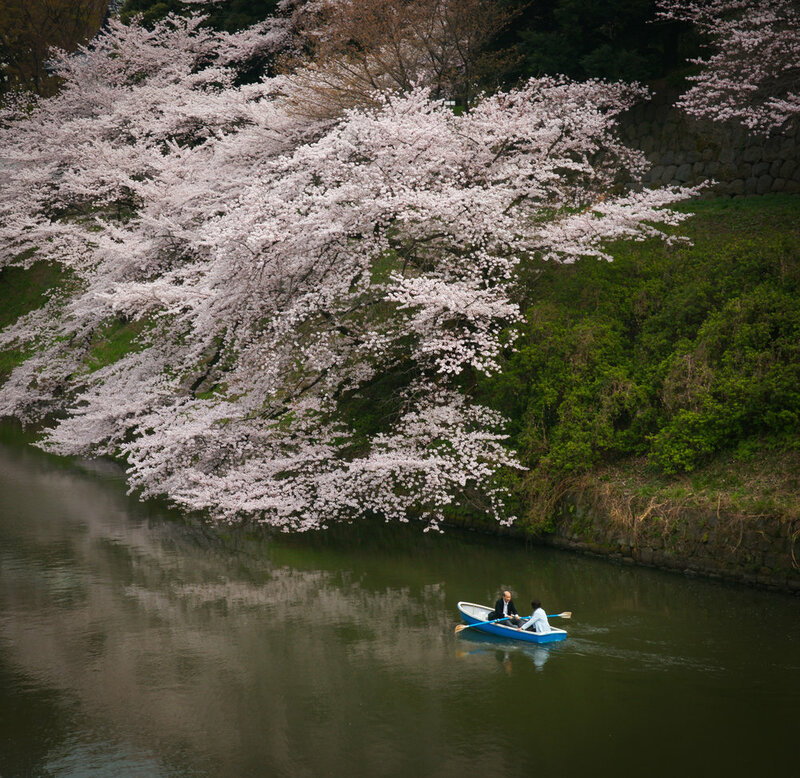 But when the blossoms fall away and the crowds fade, the streets and rivers turn white. 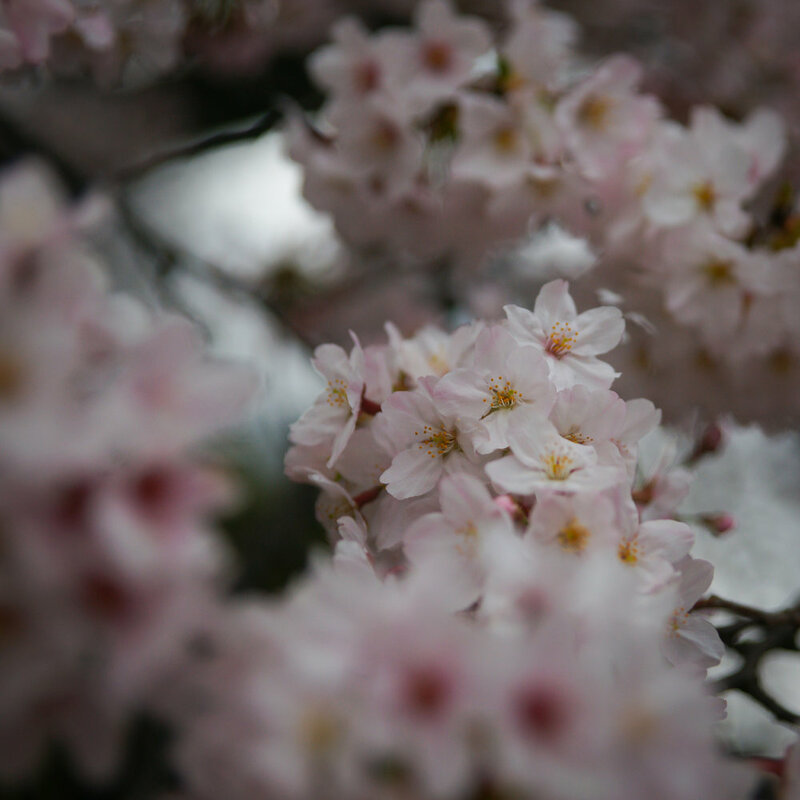 Everything is covered in sakura petals like a dusting of snow. 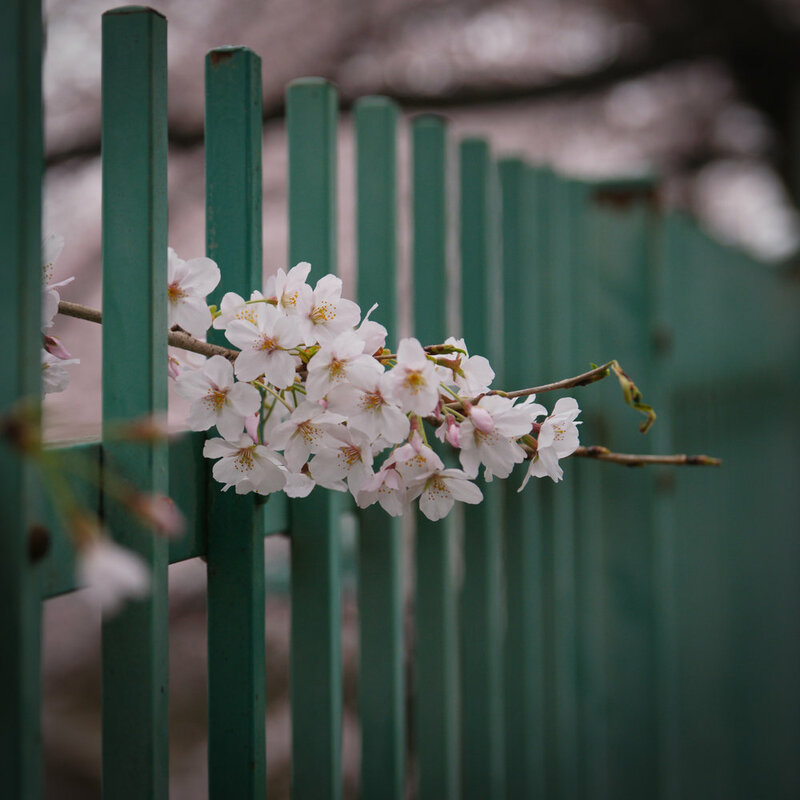 During the days that the trees are shedding their flowers, there is beauty as well, but not for the masses. After the tourist are long gone it was nice to walk the same “hot spots” without all the cameras and picnics, to just sit under the trees and be showered in the floral ‘dandruff’ of sorts and truly relax.